Start by spreading a few tablespoons of pesto over the top of the pizza crust. 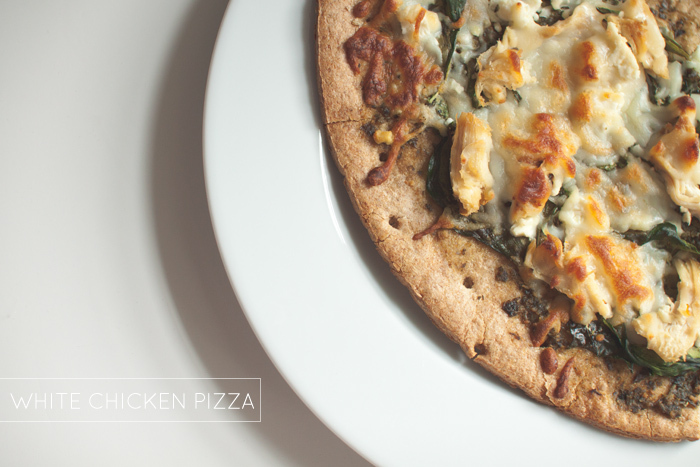 Place a single layer of spinach leaves over the entire pizza. Add a layer of bite sized pieces of cooked chicken and then top with as much feta and mozzarella as you like. Bake according the pizza crust directions. Done! yum yum!!! wait a second, you redesigned your blog. looooooove it, major jealousy going on right now. it's beautiful!